I am freaking obsessed with L’Occitane lately so when I heard of their new line, Au Brésil, I had to jump on board and find out what it was all about. This is a new line by the brand designed in Brazil and using local ingredients. Au Brésil is comprised of two collections- Jenipapo (a fruit tree from Cerrado that seeks the sun and absorbs its energy), and Vitória-Régia (an Amazonian water-lily known for sleeping in the early morning and blooming at night). 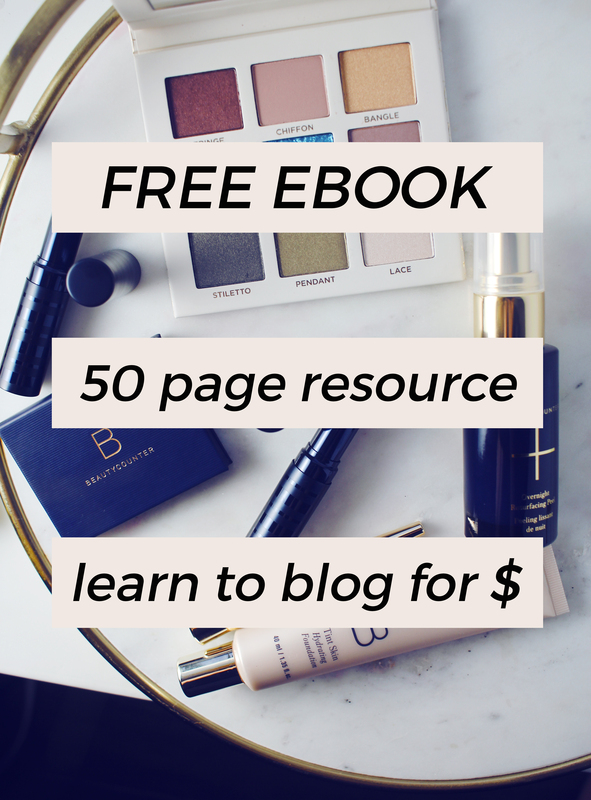 I have a few selections from the lines to share with you! These are sun care and perfume products made 100% in Brazil. 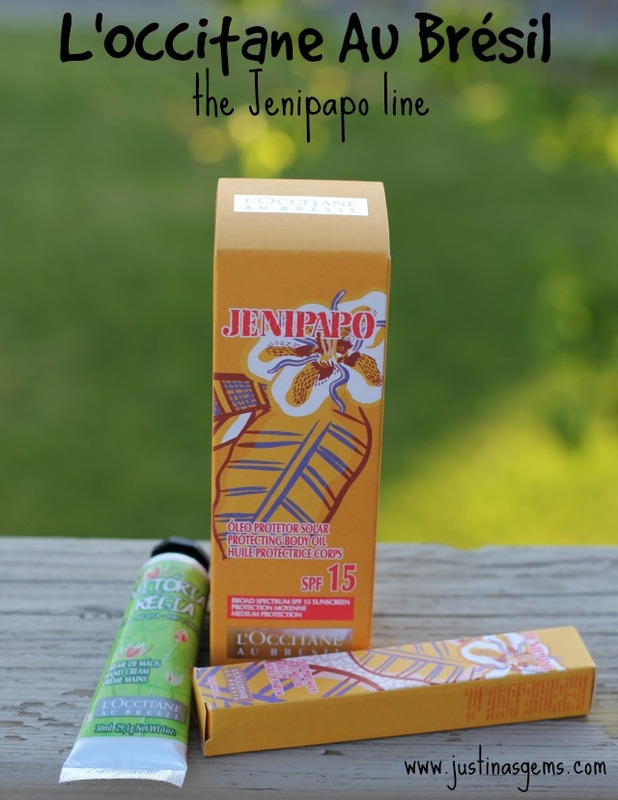 The Jenipapo Oil Roll on beautifully captures the Jenipapo fragrance. It’s described as a warm green, fruity floral with high notes of watermelon, pina colada, and citrus. It is so delicious and reminds me of summer. To me it smells fresh and sultry at the same time. There is a lot of depth to the fragrance yet it is light and summery too. I love that this comes in a tiny roll on which is perfect for toting with me in the summer, and the formula is alcohol free! 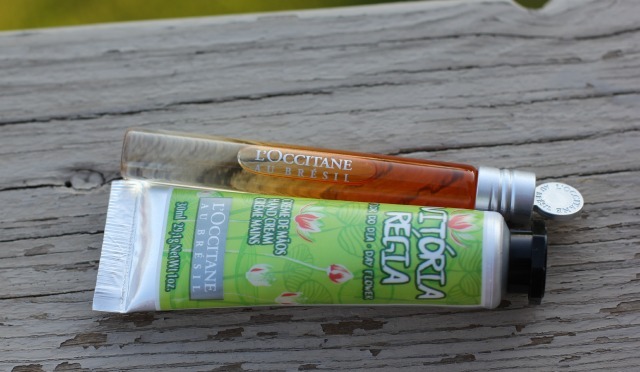 I love the way L’Occitane depicts the Cerrado landscape where this fragrance was created. This specific region is in the heart of Brazil where three rivers meet, and there are leafy trees, sweet fruits, fauna and colorful sunsets in abundance. My home town is where three rivers meet and there is a statue where you can go to stand and look over the rivers and actually see where they merge. It’s kind of amazing and the legend is that where three rivers meet, there will never be a tornado. We don’t exactly live in Brazil, but on hot and humid days like today, it sure feels like it! The Vitória-Régia hand cream is also divine. It’s enriched with shea butter and is very hydrating while being scented with the green, aquatic floral notes of the Vitória-Régia Day Flower Fragrance which is a fragrance found in the Amazonian region of Brazil in the waters. Its petals transform from white to pink depending on whether it’s day or night. This fragrance accompanies the Jenipapo fragrance beautifully and I love wearing them together! Plus the hand cream makes my hands so soft! 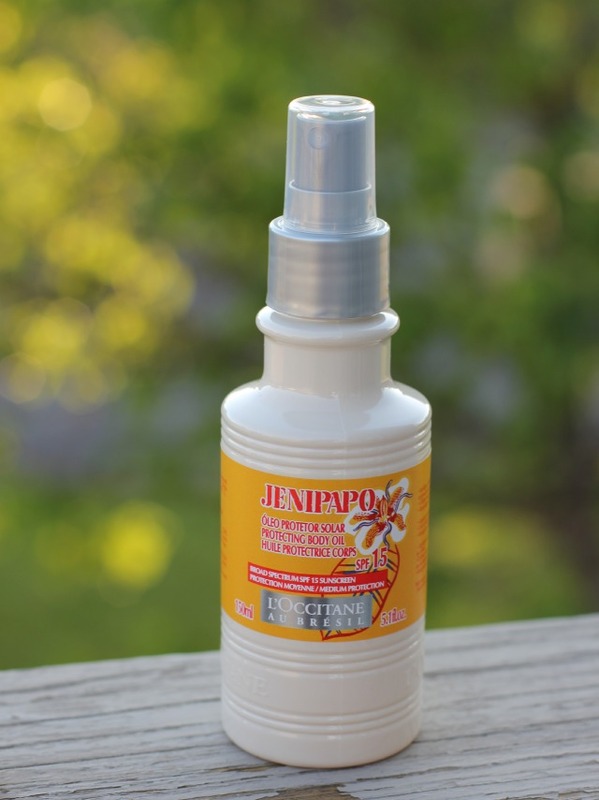 The last product I have tried from the line is the Jenipapo Protecting Body Oil. This is a light body oil with SPF 15 that is very easily absorbed by the skin. I went for a long walk in the park today with my daughter and I wore this on my neck and my arms, where my skin was exposed. I was very skeptical that an SPF 15 body oil would keep me safe from sunburn because I usually wear SPF 70 but I really wanted to test this out! I was shocked that I didn’t get a sunburn at all! You don’t need much of this oil at all, and it’s supposed to leave a non-greasy protective film that helps prevent sunburn. I can definitely attest that it did that for me. I am fair, but if you are a redhead or super light I would still be careful! It worked well for me though and it smelled lovely and was an absolute joy to wear. I have to be honest that I’m pretty obsessed with this line right now! I’ve been craving Laura Mercier’s Verbena Infusion scent every day but I think I might be making the switch to the Vitória Régia Day and Night Flower perfumes. I just found out that you can buy both in a duo on their site and I am definitely checking my email for a coupon so I can snap these up. I adore the scent! Click below to check out more from Au Brésil! Can’t believe I’ve never tried L’Occitane.. I have a small packet sample of their lotion, but I haven’t opened it.. I think I’m saving it! lol. This Brazilian line sounds nice.. I have a few Brazilian nail polishes, and they are the bomb! They know beauty in Brazil.. The new scents sound amazing! The Jenipapo sounds incredible with pina colada and watermelon notes. YUM! 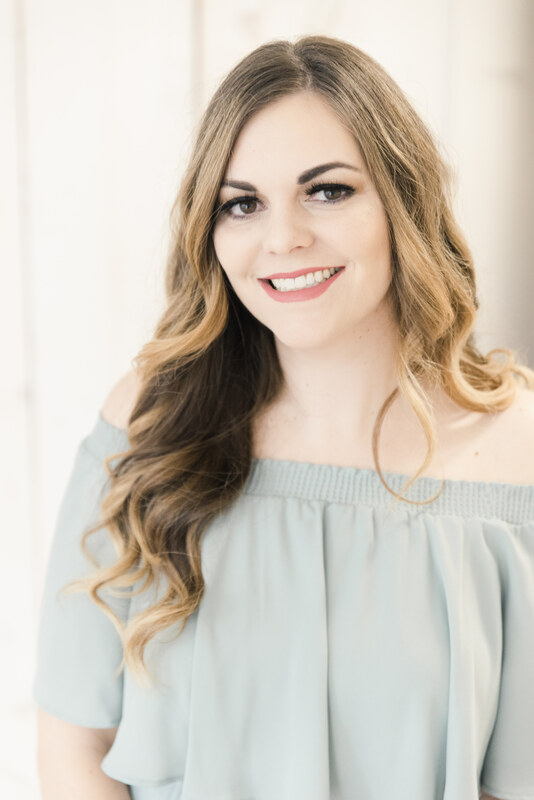 I love oils and these scents sound incredible! I love L’Occitane and this sounds amazing! I am pretty sure I NEED the roll-on and hand cream; I love the scent of water lily! Great review! The scents sound so amazing. I just love L’Occitane’s products! I haven’t tried anything from them yet. Sounds like I need to! The scent description sounds amazing! L’Occitane is amazing in many reasons! oh how I love their products! The scent sounds like it would be amazing ! I really loved this scent! I have never heard on this line before! It definitely sounds interesting so I’ll have to go check it out! I love L’Occitane! I love how shea butter feels but not really the scent, so the Au Brésil lotion looks perfect. I need to get myself some Jenipapo Oil Roll! L’Occitane is literally the world’s best skincare line ever. I am in love with all of their products, I haven’t tried the Au Bresil lotion yet though so I’ll put it on my list. That oil with spf15 sounds very interesting! I haven’t seen this line before but that fragrance just sounds amazing! I totally want to try this line out! This new line sounds awesome!